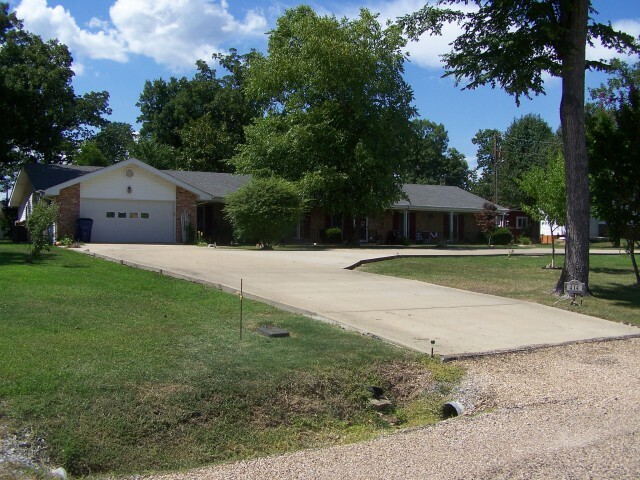 This 3 bd 2.5 ba brick home sits on a level 1+ ac lot just off Mallard Point Rd. Features include a chef's kitchen, oversized rooms, covered patio, 2 new HVAC units, and an 80% finished guest house to complete as your like. The property is close to 3 Lake Norfork marinas and under 10 minutes to Mtn. Home. There's beautiful landscaping with fruit trees and a circle driveway for convenience. The guest house has a small garage, bone dry basement, and the upper level is wide open. It's ideal for a big family.